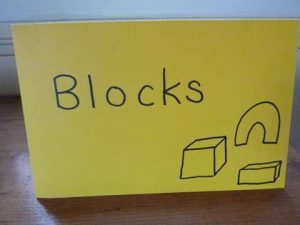 Labelling the centers using words and photographs: “Shoe Store,” “Blocks,” “Art,” etc. 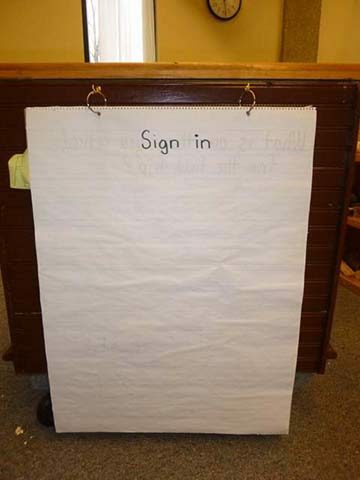 Providing an area for children to sign in as they enter the classroom. Ms. Jones has been introducing letter sounds and letter names in a variety of ways, such as pointing out letters during big book read alouds, pointing out letters to children as they dictate sentences about their project work, and referring to an alphabet poster on the wall when children name new vocabulary words related to their shoe store investigation. Ms. Jones has also introduced the concept of uppercase and lowercase letters, and children are familiar with looking for uppercase letters at the beginning of names and titles. Sign in to centers. Children take a card with their name on it at the beginning of center time. Each center has a sign-in poster with three Velcro spaces for name cards (indicating that three children can be at the center). 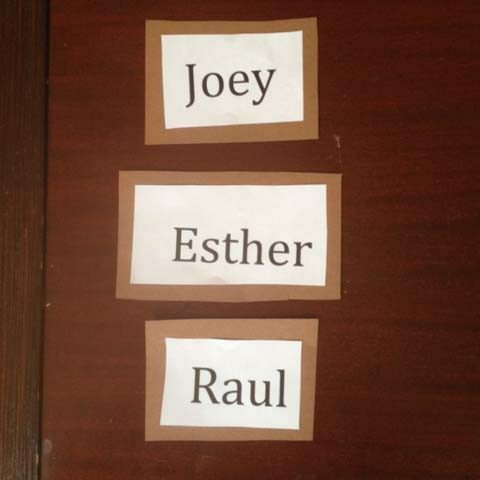 Children place their name card at their chosen center while they are working there. Sturdy or laminated cards with children’s names and children’s photos (optional) printed on them with Velcro on the back. To introduce the new sign in system, Ms. Jones models the procedure during large group time. She finds her name card “Ms. Jones” from all the name cards on the easel. Ms. Jones chooses a center. She brings her card to the chosen center and places it on the poster board for that center. Ms. Jones models her choice and strategy: “I feel like playing in the block area today. I know blocks starts with ‘B’ and has a ‘k’ near the end. So I’ll look for those letters in the poster. Yes, here it is. While still at large group, Ms. Jones chooses three children to demonstrate finding their name cards and choosing centers. Ms. Jones dismisses children one at a time to find their name cards and choose centers. (In later weeks, as children gain experience with this procedure, Ms. Jones will dismiss them 2-3 at a time. During dismissal to center time and when children switch centers, Ms. Jones uses a checklist to assess whether children can find their name card independently. 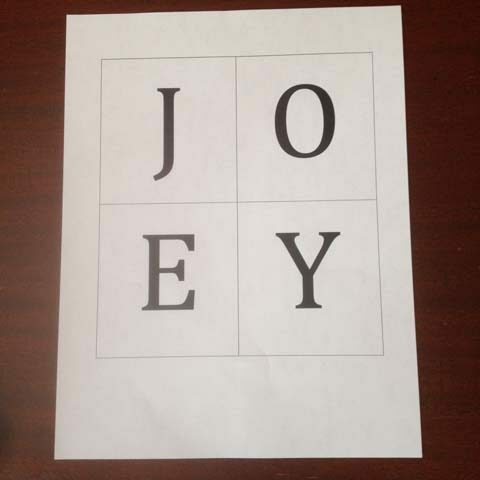 If children need help during this process, type of assistance is noted (e.g., first letter pointed out, child offered a choice of two name cards). 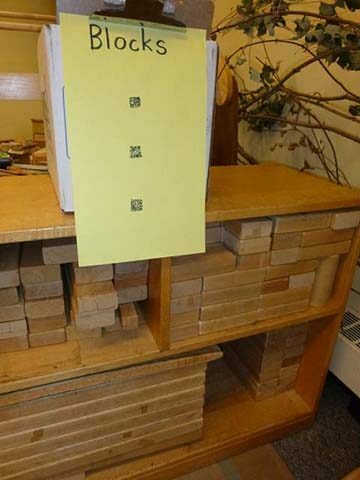 Ms. Jones implements the name recognition activities in her classroom by providing each child with multiple turns to identify his or her name and peers’ names (e.g., Ms. Jones offers a child the chance to put a newsletter in his own cubby and a classmate’s letter in her cubby). During other parts of the day, Ms. Jones creates additional opportunities for children to practice reading signs and labels. 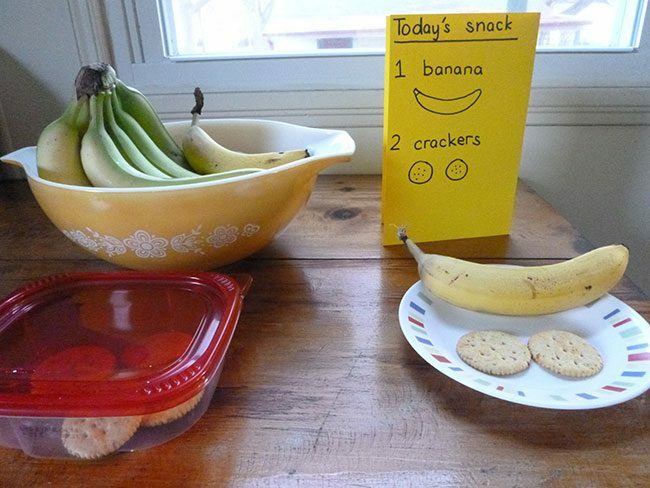 (e.g., creating a menu to follow for snack center, “1 banana and 2 crackers,” with pictures). Child can respond successfully to, “What is your name?”, but has trouble finding his name card from among 14 other name cards. Teacher isolates a small set (2 or 3) name cards on the side of the easel, including this child’s name card. She then asks the child to find his name card from the subset. Child speaks Spanish at home and can recognize her name, but she has trouble understanding instructions in English in the large group. Teacher learns several phrases in Spanish from her bilingual assistant. 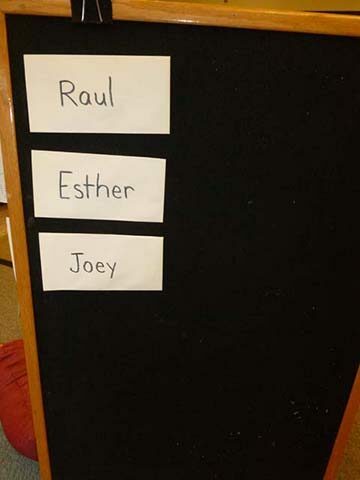 Teacher gives instructions, “Find your name card” in English and Spanish during dismissal of group to center time. Teacher ensures that the easel is at an appropriate height for the child to maneuver her wheelchair to it and reach for her name card with her right hand. This child may need a thicker name card using cardstock or cardboard (to be easier to grasp). If this is the case, all name cards should be made out of this material. 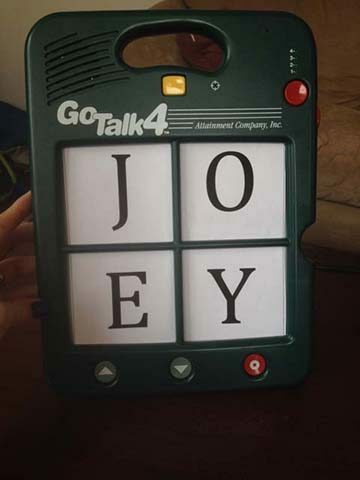 Child has significant language delays and uses an AAC device, programmed with up to four words or images at a time, to communicate. Teacher encourages child to participate with the entire class. 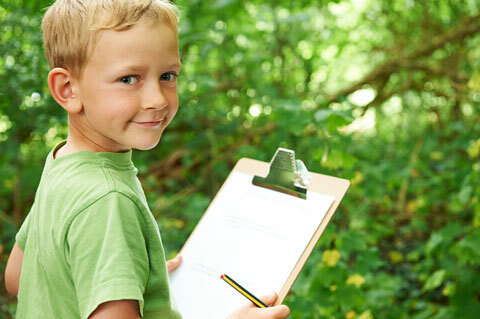 Child will be able to choose his name card from the easel independently. AAC device option — Teacher programs child’s AAC device with the letters in the child’s name. Using the AAC device, the child can participate in answering questions about his name (e.g., “What letter does your name start with?”). Low-tech option — Teacher provides a laminated card with the first letter in the child’s name along with the first letters from other children’s names. All children can use the card to identify the first letter in their names. Teacher offers child two choices that are available at that time (e.g., “You can choose writing center or dramatic play right now”).